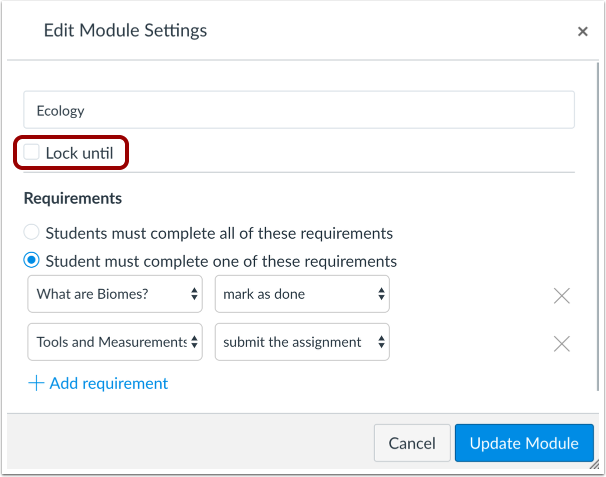 You can set modules to be locked until a given date. 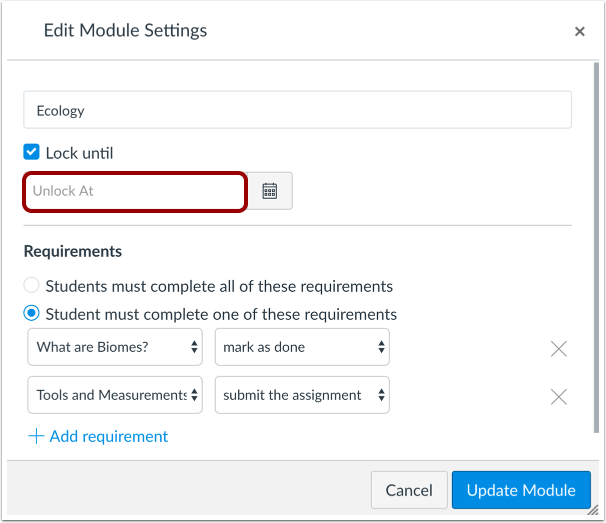 Students will be able to see the module titles and module item names, but they will not be able to access the module items until after the lock date has passed. Click the Options icon . Select the Edit link . Click the Lock until checkbox. In the Unlock field, enter a date that the module should unlock. You can also use the calendar to select a date. Click the Calendar icon . 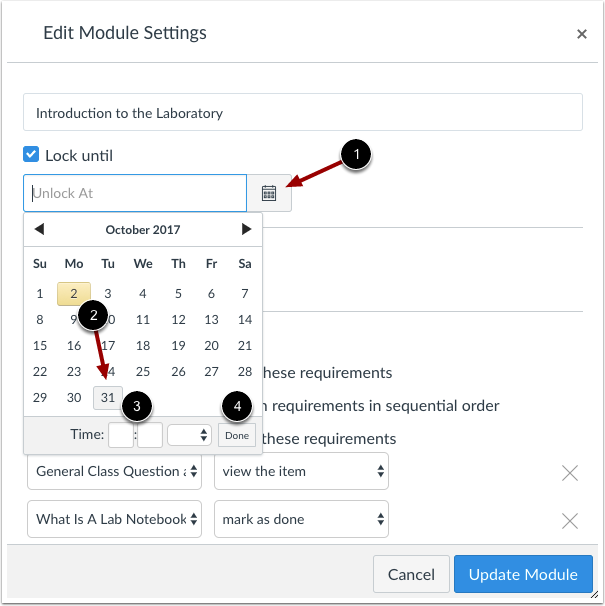 In the calendar, click the date the module should unlock . If you want to set a specific time, enter a time in the time field . Click the Done button . The unlock date and time will appear next to the bottom of the module. 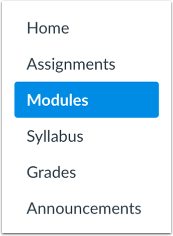 Previous Topic:How do I edit a module? Next Topic:How do I delete a module? Table of Contents > Modules > How do I lock a module? Re: My students are telling me my canvas course is locked ... how can I unlock it for them, please? Re: completion of module check mark?